During 2014 in South Africa alone 1 215 rhinos were killed. Every 8 hours a rhino is killed. 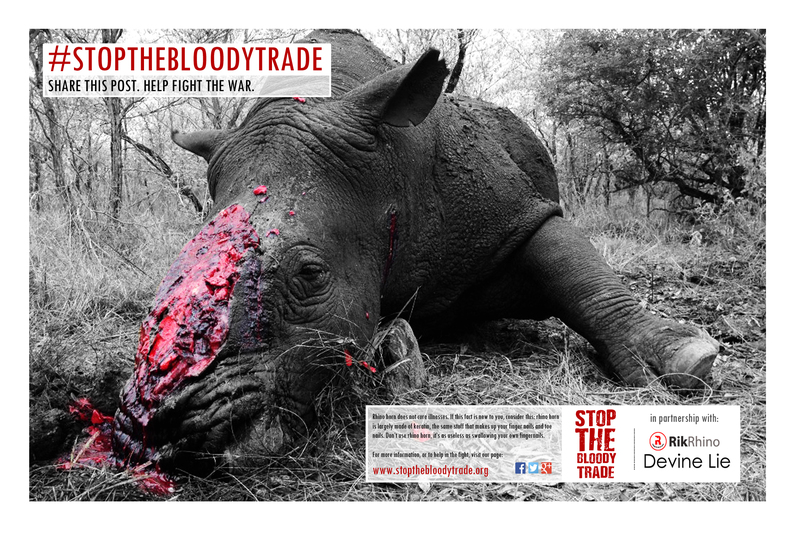 Lets put a stop to this bloody trade. Get involved and subscribe to our newsletter. Stay up to date with our latest projects, news on the fight against poaching and lots more. If the poaching continues at this level we could see rhino deaths overtaking births by 2016-2018 meaning rhinos could go extinct in the very near future. Show you care by donating today to help protect our rhinos. 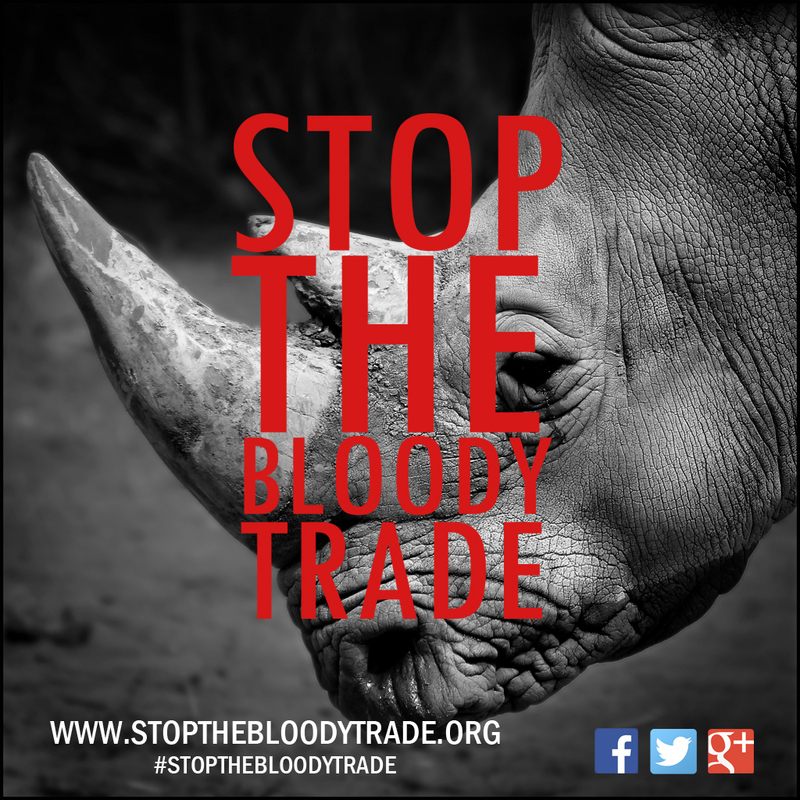 You can donate to the STOP THE BLOODY TRADE initiative where all the proceeds will be going to assist the Limpopo Rhino Security Group. 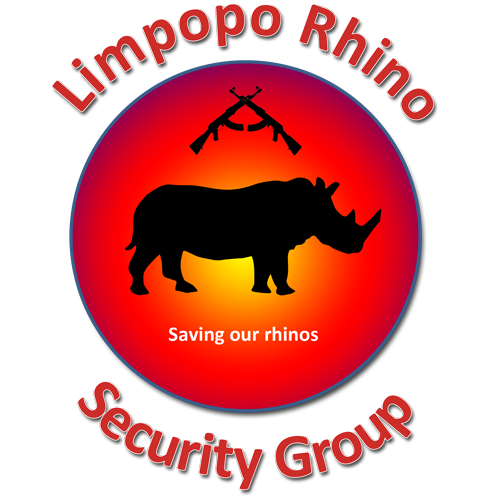 Some of the organisations that we are working with include the Limpopo Rhino Security Group. The Limpopo Rhino Security Group is a non-profit organisation that tries to help save rhinos in the Limpopo Province. Their aim is to conserve and protect this critically endangered animal. They recognize that the future of wildlife is inextricably linked to the communities that share its habitat. They are currently risking their lives to protect close to 300 rhino's across the Limpopo Province. They have also realized that one of the most effective ways to counter the poachers and protect their Rhinos is with technological solutions like the Rhino Cam, but of course like all volunteer organizations one of their biggest challenges is money. Together with our support partners, we are trying our best to help and support organisations such as the Limpopo Rhino Security Group and we hope others will support them as well. They are driven by their passion for wildlife and we are proud to be associated with them. Get involved in the fight against rhino poaching. We need your support to conserve and protect the surviving rhino species. 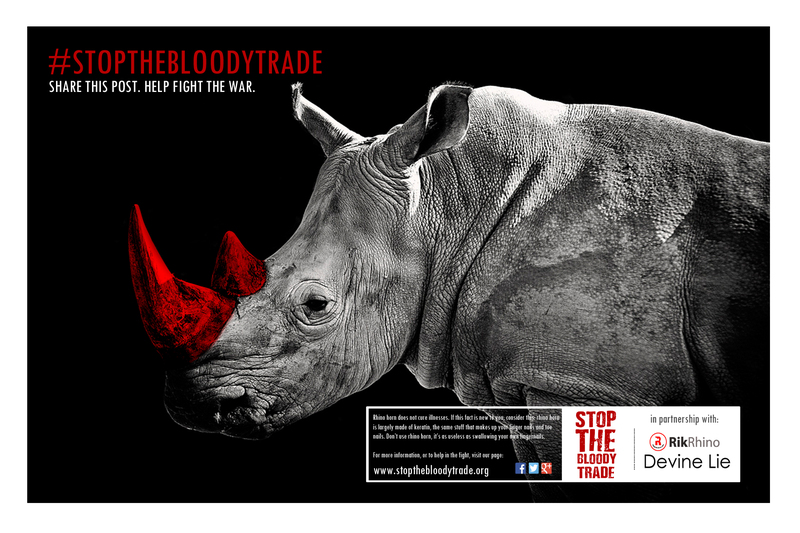 get involved in the fight against rhino poaching. Show your support and spread the word! #StopTheBloodyTrade. The Limpopo Rhino Security Group needs all the help they can get to protect whats left of our modern day unicorns! It is very important that you share this email in order to create awareness of the massacre that is happening in South Africa. Share this and assist us in putting a stop the rhino genocide.